The Hay Loft is a luxury barn conversion in the heart of the New Forest National Park. 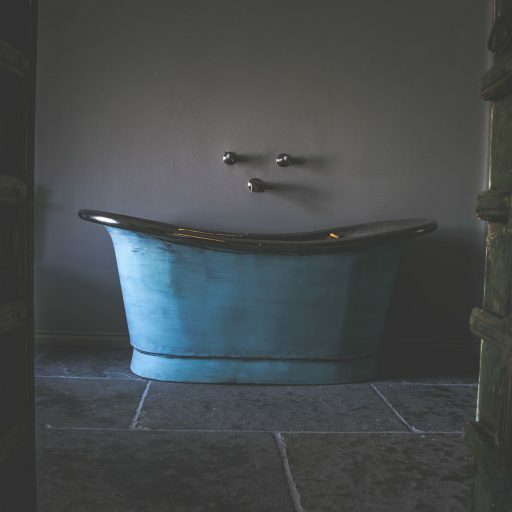 Set in the grounds of the 100 acre family-run Warborne Farm, the design led interiors are pure, rustic-luxe fusion featuring contemporary designer furnishings alongside rugged traditional features. 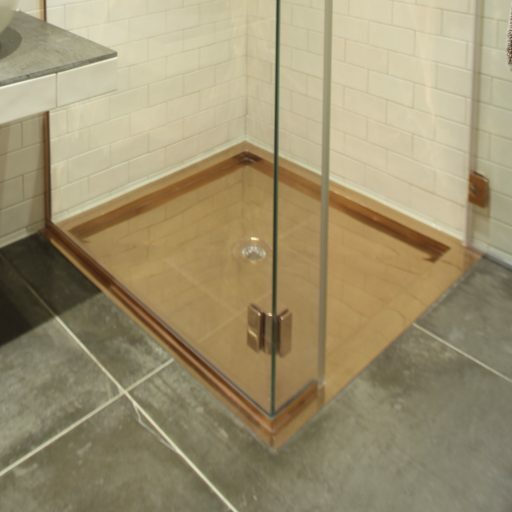 Beneath vaulted ceilings the William Holland handcrafted Copper Bathtub perfectly reflects this historical and contemporary mix. 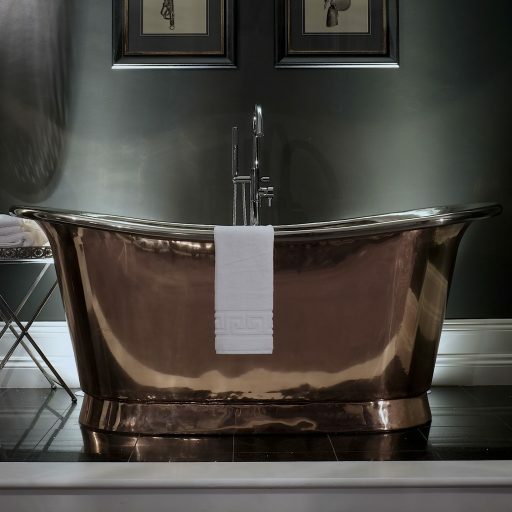 Reclining beneath a soaring skylight, the iconic Bateau Bath is perfectly placed for dreamers where bathers can bask in a swathe of sunshine or gaze into the starlit sky. 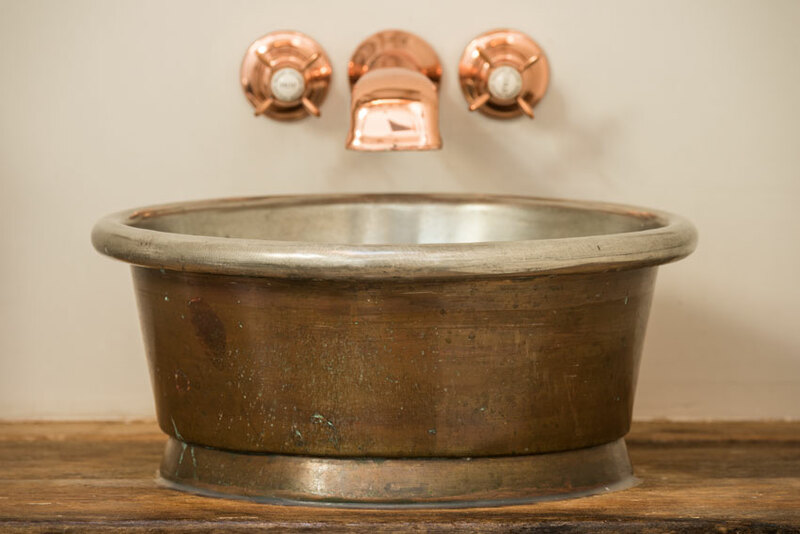 Crafted using a combination of traditional artisan techniques and modern innovation, the handcrafted Rolltop Bath is finished with a natural patina to create an aged copper style. 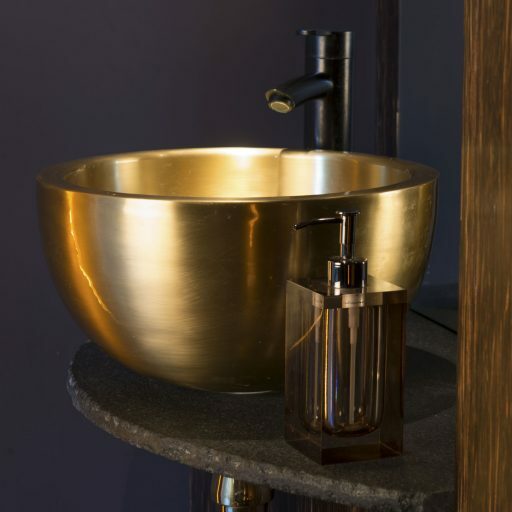 Part of the William Holland ‘living finish’ range this weathered copper finish continues to evolve in tune with the environment creating a traditional feel infused with history and ambience. 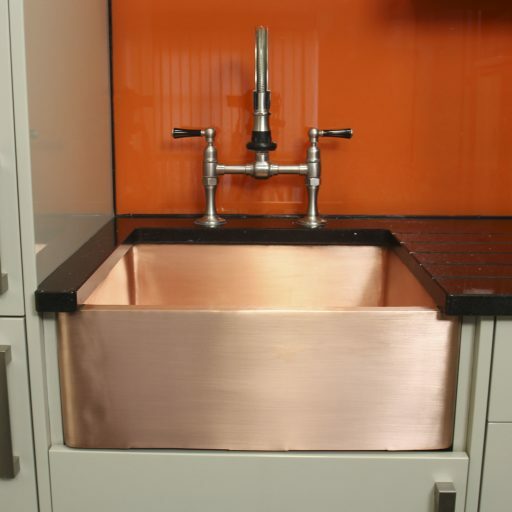 Paired with the William Holland Rotundus Copper Basin, the use of natural materials and rustic-luxe finishes complement the luxurious industrial heritage of the historic building. Outside the luxury continues with a William Holland Hot Tub. 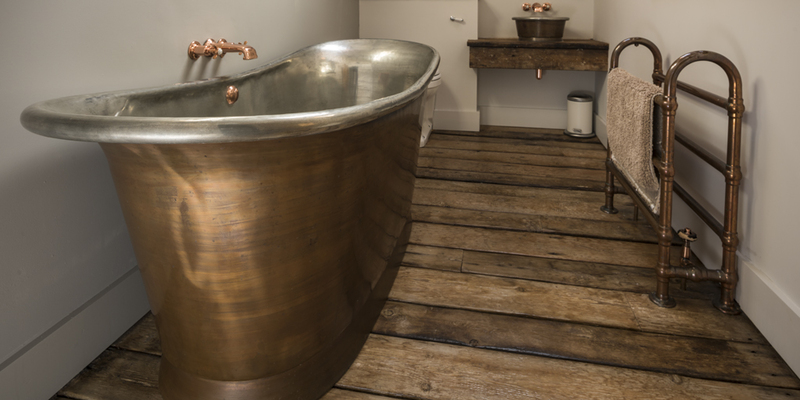 Handcrafted from copper and finished with an artisan tin finish created using traditional techniques passed down through the generations, the Alvius Copper Bath is perfect for whiling away a few hours, soaking up the country air and immersing yourself in the great outdoors. With views across the Solent to the Isle of Wight in Winter, enchanting orchards and fields in Summer and an idyllic ocean of blossom in Spring, Warborne Farm is a stunning year round get-away. Situated just outside of Lymington, close to the sea, the location is the ideal base to explore this stunning part of England. 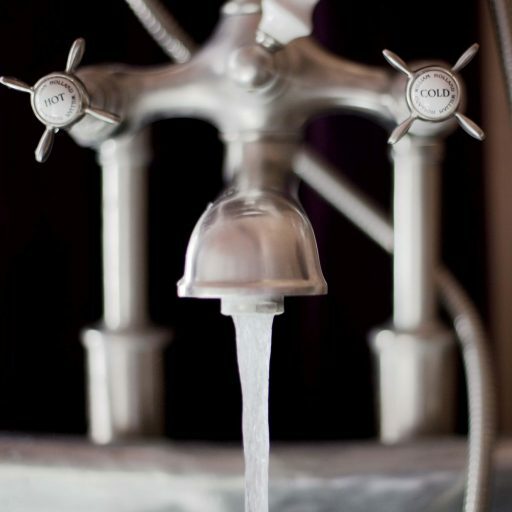 A characterful and authentic hideaway, full of luxurious flair and cosy traditional style, Warborne Farm contains all the ingredients for the perfect tranquil escape to the good life.